As Canadians across the country celebrated Alexandre Bilodeau’s freestyle moguls victory – the first Olympic gold won by a Canadian on home soil – the Australian delegation started to pour themselves a glass of fine whine. According to Dan Silkstone of the Sydney Morning Herald, the judges had put Bilodeau over Australian athlete Dale Begg-Smith who had to settle for silver to satisfy the Canadian hosts. “It was the scores allocated to Bilodeau's turns - not traditionally his strong suit but Begg-Smith's undeniable strength - that had some in the Australian camp asking questions,” wrote Silkstone. Lipshut did allow that Bilodeau out-paced Begg-Smith, an important criteria that judges always consider during competition. So by the Australian delegation’s own admission, Bilodeau deserved to win, they’re just very disappointed. Silkstone, like many foreign journalists in Vancouver for the Olympics, are trying to make hay with Own the Podium and the Canadian Olympic Committee’s attempts to win as many medals as possible. The British are also ragging on Canada’s Own the Podium program, but it comes across as just more bitterness. After all, what should Canada do? Not try to win? Not do their best? Nonsense. Yes, Bilodeau’s win over Begg-Smith could be viewed by some as an upset, but thems the breaks. Sometimes underdogs come out on top. 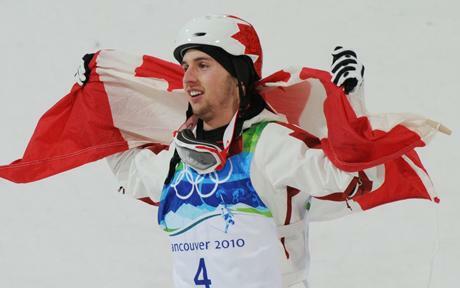 Aside from some frustrated Aussies, no one has suggested that Bilodeau’s victory was anything less than legitimate. Silkstone and his contacts on the Australian team are just chewing on sour grapes. At its core, the Olympics are about competition. Canada is finally stepping up its game and applying itself to winning as many medals as possible. Canadians can, and will, combine sportsmanship, class and athletic success at the Vancouver games.